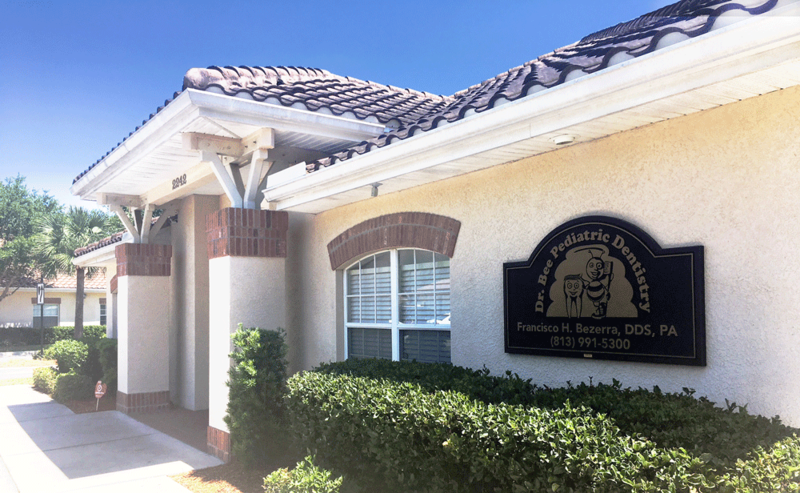 Dr Bee Pediatric Dentistry at Wesley Chapel office is now accepting new patients and serves Wesley Chapel, New Tampa, Tampa Palms, Tampa, Zephyrhills, Dade City, Temple Terrace and its surroundings. Our office is located in the Seven Oaks Professional Park behind the Sams Club at Wesley Chapel. Our office is open Monday thru Friday from 8:00am to 5:00pm. For any questions you might have or to help you schedule an appointment please call 813.991.5300 today. We would love to hear from you!